This entry was posted on December 30, 2011 at 1:28 pm and is filed under Found Heart Photos. You can follow any responses to this entry through the RSS 2.0 feed. You can leave a response, or trackback from your own site. 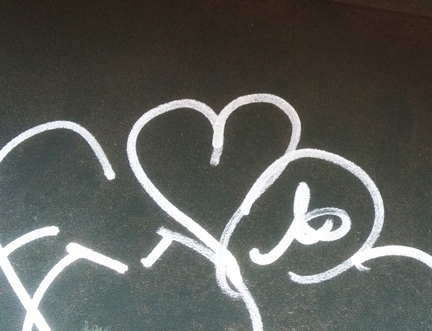 I find graffiti artists do tend to make hearts – some intended and some not I’m sure. The white of the paint makes this one really stand out!